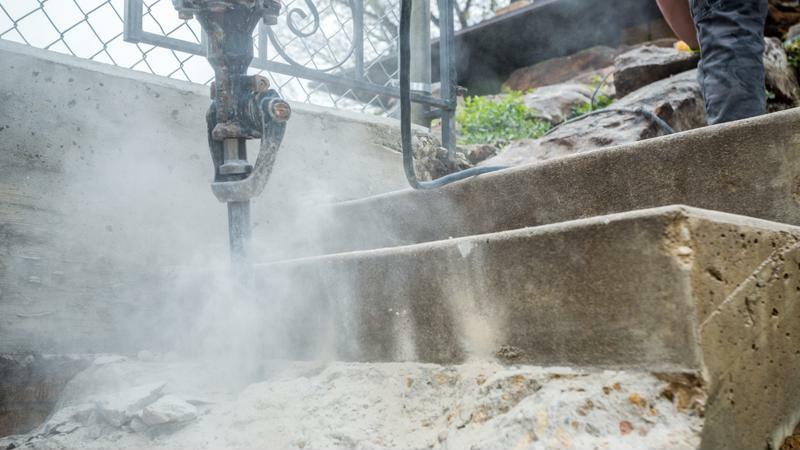 The U.S. Occupational Health and Safety Administration's current respirable crystalline silica standard for general industry has set a permissible exposure limit of 50 micrograms per cubic meter and an action level of 25 μg/m3, as averaged over an eight-hour day. Since OSHA began enforcing this rule in June 2018, many employers have been left with some uncertainties regarding the exact language of the regulations. In an effort to clear up some of those lingering questions, the agency consulted with industry and union stakeholders to create an FAQ page that should provide clarification on requirements such as exposure assessments, regulated areas, methods of compliance and communicating silica hazards to employees. According to the new FAQ page from OSHA, there are several exceptions to the silica standard. Specifically, the rule does not apply to agricultural operators, construction work and exposures that result from the processing of sorptive clays. Also exempt from the rule are employers who have objective data demonstrating that exposures will be below the action level of 25 μg/m3 per eight-hour day under all foreseeable conditions. This is to ensure that the standard does not apply to employees with only minimal silica exposures, according to OSHA. Types of objective data include industry-wide surveys, information from equipment manufacturers or trade associations, exposure mapping and historical air monitoring data. A separate silica standard exists for construction. OSHA has also provided some additional clarification on the exact nature of "foreseeable conditions." The agency considers the failure of "most controls" to be a foreseeable condition, but does specify that the failure of some specific types of controls, such as the substitution of non-silica-containing materials for materials that contain silica and fixed walls that are a permanent part of a building's structure, as being unforeseeable. Employers who are affected by the rule must perform exposure assessments of each employee who is or may be expected to be exposed to respirable crystalline silica at or above the action level, and provide medical surveillance for workers exposed to that amount for 30 or more days per year. The rule also mandates that employers establish regulated areas and provide respiratory protection, housekeeping, training, hazard communication and medical surveillance. The silica standard also requires employers to ensure that no employees are exposed to an airborne concentration of silica that exceeds the permissible exposure limit of 50 μg/m3 per average 8-hour time period. To assess the exposure of each employee at or above the action level, employers can choose to utilize a performance option or scheduled monitoring option, or switch from the scheduled monitoring option to performance option. To complete the performance assessment, employers can make use of air monitoring data generated during scheduled monitoring. Employers who elect to use the scheduled monitoring option are not required to sample every employee, and can instead sample a representative fraction in cases where several workers perform the same tasks at the same time in the same area. The standard also requires employers to demarcate regulated areas from the rest of the workplace, unless there are work rules in place which limit the employees' time so that there would never be a reasonable expectation of any worker exceeding the permissible exposure limit. Such demarcations can also be temporary, in the event that the regulated area is only likely to exceed the PEL on certain days. Access to these regulated areas must also be limited, and anyone entering the area requires the use of a respirator. There are a variety of methods employers can use to reduce employee exposures to a level that is below the permissible exposure limit, including rotating employees to limit exposure for each individual, or scheduling high-exposure tasks to be conducted when an employee is not working in an adjacent area, EHS Today noted. More specific information can be found on OSHA's list of Frequently Asked Questions, which gives more clarification and breathing room to employers uncertain of how and if they are required to comply with the agency's respirable crystalline silica standard for general industry. "The FAQs provide important interpretations of several of the provisions in the rule and provide employers with additional flexibility for compliance," attorney Bradford T. Hammock told EHS Today.